The Miele Compact C1 Turbo Team canister vacuum is a highly versatile machine, thanks to its included attachments. 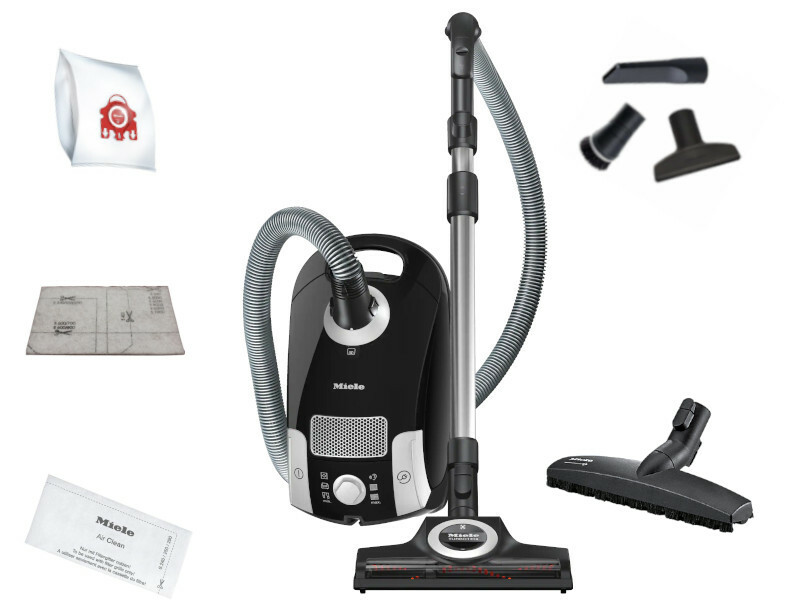 Aside from the standard tools (dusting brush, upholstery tool, and crevice tool), this vacuum includes the STB 205-3 Turbo Comfort Floorhead, which is great for effectively cleaning low-pile carpets, and the SBB Parquet-3 Pure Suction Floorhead, which is great for cleaning hardwood floors and other smooth floor surfaces. Additionally, this model has versatile features, such as the 6-setting suction control and the Exclusive Miele AirClean Sealed System. 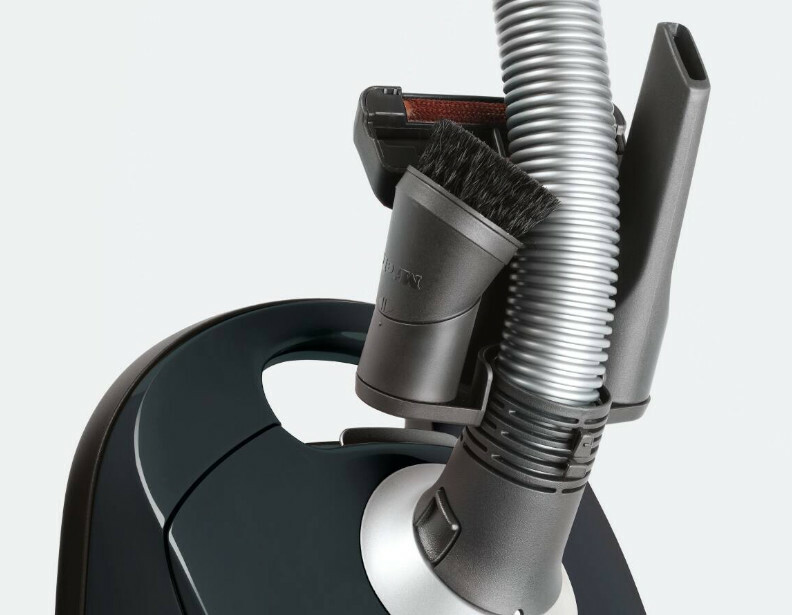 The Miele Compact C1 Turbo Team canister vacuum comes with the useful VarioClip accessory, which allows you to conveniently store your tools on the end of the hose, so they are easily in reach and there when you need them. The Miele Compact C1 Turbo Team canister uses effective FJM Airclean bags, which use a sealed system design that make them easy to dispose without creating a mess. The Miele Compact C1 Turbo Team canister vacuum comes with the STB205-3 Turbo Comfort Brush, which you can use to effectively clean carpets and area rugs. You can adjust the suction power on the canister to more effectively clean delicate floor surfaces. In addition to the Turbo Nozzle to clean carpets, the Miele Compact C1 Turbo Team canister vacuum also comes with the SBB Parquet-3 floorhead, which you can use to clean your hardwood floors, or other smooth floor surfaces. Miele is an excellent vacuum. While this one does an excellent job, the bags fit in a folded position, making them hold a great deal less than they should. I also prefer attachments that fit under the lid as these fit to a holder by the hose and have a slight tendency to fall off (the entire holder more than individual attachments). If you can afford it, you might go "one up" from this one. The cleaning power is still great and I have three cats so I should know! Answer:Judy, only the more expensive Miele models come with a powerhead with a light. Answer:For warranty service you would contact Miele and they would direct you to a local warranty center. Answer:1 year on everything and 7 years on the motor and casing.